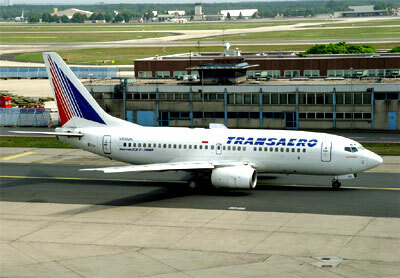 JSC Transaero Airlines is a Russian based airline with its main base located at Moscow, the capital city of Russia. Transaero operates both scheduled and charter flight services to over 70 domestic and international destinations. The airline's primary hub is at Domodedovo International Airport (DME), Moscow and also at Pulkovo Airport, Saint Petersburg. Transaero passenger fleet consists of aircraft models such as the Airbus A330 and Boeing being the most of it such as Boeing 737, 747 and 767. Transaero covers both worldwide and domestic destination cities in countries such as Russia, Egypt, South Africa, Mauritius, China, India, Indonesia, Israel, Kazakhstan, Maldives, Singapore, Thailand, United Arab Emirates, Uzbekistan, Vietnam, Austria, Cyprus, Czech Republic, France, Germany, Luxembourg, Spain, Ukraine, United Kingdom, Canada and Australia. 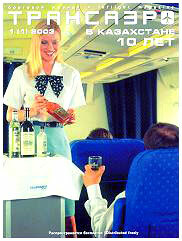 Check flight schedule, flight status directly from Transaero official website. You can also check on the cheapest airfare, flight schedule, flight status, airlines offices, contact number, airlines packages, air cargo partners, air ticket prices and booking procedure, international airfares, frequent flyer and other flight information and travel deals and packages. When you are making an airfare booking, select from either economy airfares, business class airfares or first class airfares whichever you prefer. Have a pleasant flight journey and enjoy your holidays or business trip!